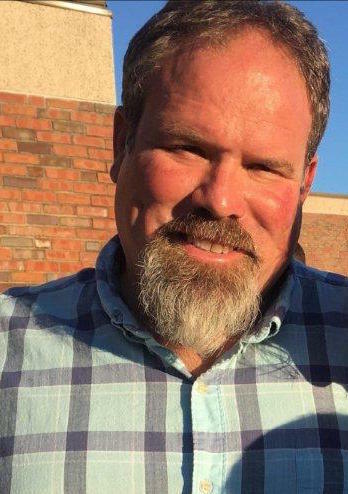 Scott H. Fisk, 47, of Waits River Road passed away unexpectedly Friday, Sept 14, 2018 at home. Born on January 14, 1971, he was the son of Harold E. and Joyce A. (Londry) Fisk. Scott grew up in Bradford and was a graduate of Oxbow High School. He was a man of strong work ethic. He was the founder, owner, and operator of Fisk Trucking in Bradford. Family and Family gatherings were very important to Scott. He will be especially remembered for his Thanksgiving Feasts at the shop. He also enjoyed four wheeling and hunting. Besides his mother, he is pre-deceased by two brothers Stuart Fisk and Stanley Fisk. Besides his father Harold Fisk of Bradford, He leaves his wife Debbie L. (cote) Fisk of Bradford; three daughters Courtni Fisk (Anthony LaPerle) and their children Garrett and Ehmmett (on the way) of Bradford, Brittani Osmer and husband Jordan and Brookleigh of Wells River, and Dayna Fisk of Bradford, VT; a step-son Cody Andrews of Bradford; sisters Theresa Slie and husband Chuck and Yvonne Naylor and husband Ken of Keystone, FL; nieces and nephews Kayla Slie, Tyler Slie, Josh Naylor, Jayna Naylor, Jessica Baribeau, and Ashley Baribeau; mother in law Lucille Cote of Gorham, NH as well as many friends. Calling hours will be held from 2:00pm to 4:00pm and 6:00pm to 8:00pm Tuesday, September 18 at Hale Funeral Home, 187 Upper Plain, Bradford, VT.
A graveside service will be held at 11am Saturday, September 22 at Spring Road Cemetery in Tunbridge, VT. There will be a procession to the cemetery leaving from Scott’s shop at 10am prior to the graveside service. Arrangements are by Hale Funeral Homes & Cremation Care of Bradford & Thetford, VT. Online guestbook at www.halefuneralhomes.com.